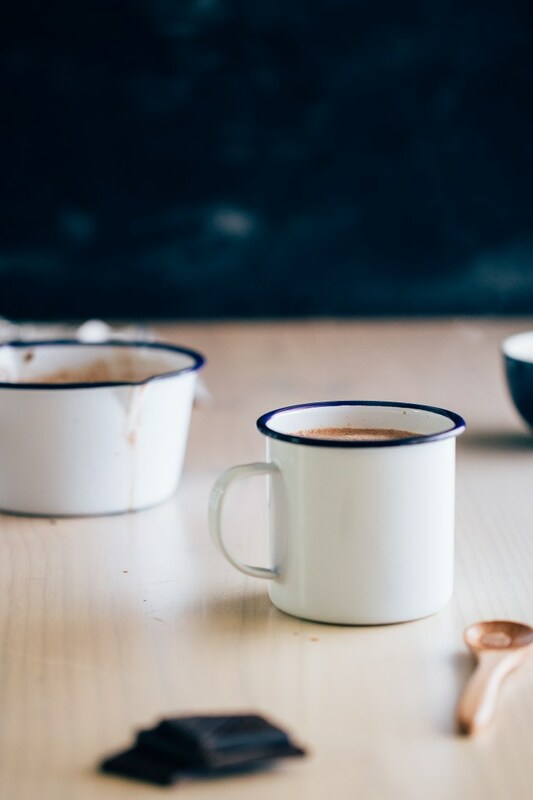 These 4 hot beverages will scratch your coffee itch without all the caffeine. The perfect coffee alternative for anyone that needs some sleep! The one good thing about the temperatures plummeting the way they did this weekend is that I was able to pull my chunky throw out of retirement, curl up on my couch, and sip on some totally delicious hot beverages. I’m definitely a coffee girl, but with all the talk about self care and the importance of sleep, I know that I shouldn’t indulge my coffee addiction after dark when I’m watching Castle Rock on Hulu. 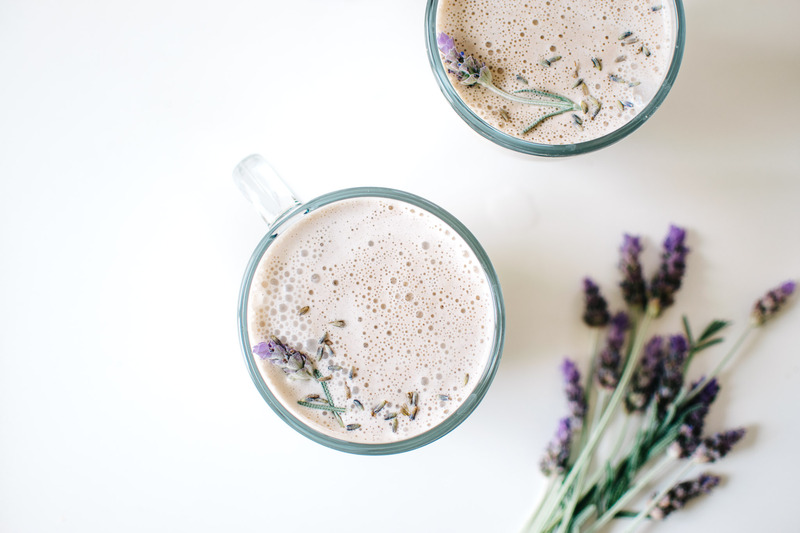 With that in mind, all weekend long I made sure that I never had an oatmeal latte after noon (you have no idea how hard that is to do if you’ve never had one), and when I craved a little something to warm my bones in the evening, I picked one of these delicious drinks instead! You must try this! This recipe checks all the boxes. Not only is it warm, soothing, and delicious, but it will help to wash away the stresses of the day. Get the full recipe here. Um. Coconut and chocolate. ‘Nuff said, right? I’ve even added Nutella to this decadent, slow cooker recipe and it never, and I do mean never, disappoints. Get the full recipe here. I might be the only person in the world that doesn’t really like pumpkin spice lattes, but this delicious twist on the classic makes nonbelievers like me take a second look. 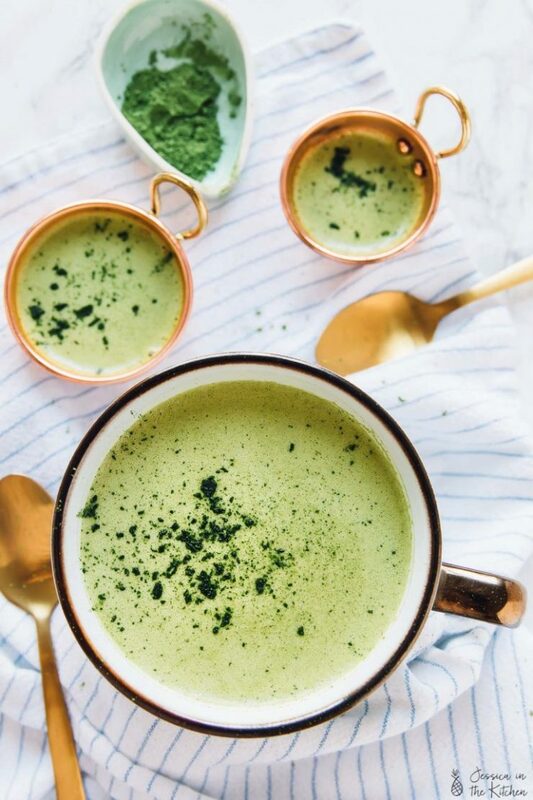 Matcha really is the star of this tasty drink. Get the full recipe here. 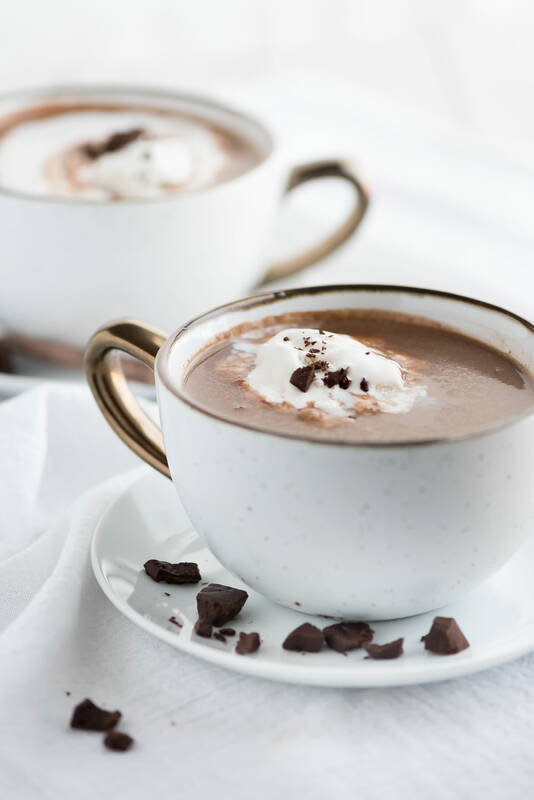 With only 3 ingredients, this chai hot chocolate is as easy to prepare as it is delicious. Get the full recipe here. I’m a green tea girl myself!! I really try, Michelle! But my coffee addiction is really real! I’ve been experimenting, though, as you can see. Good job!! I can only have coffee with cream and sugar which I’m trying to limit. Me too! I’m drinking more hot chocolate lately, but I think I might swap out one of my many morning coffees for some green tea. If you get a good one no sweetener is needed. Perfect! Which one should I try? I can get pretty much anything in NYC. Awesome! I see that one all the time. I’ll pick some up tomorrow! So I had some green tea this afternoon! So refreshing! I also picked up some rooibos (red) tea to try later. Definitely adding green tea into the daily rotation though. Thanks!